In the recent years, the senior foreign tourist segment has become increasingly important for the tourism industry. The strength of this market segment lays its two characteristics: the purchasing power and the time available for travel. This research was conducted based on these considerations. This research is confirmatory to the loyalty model developed by previous research, but specifically studied foreign senior tourists. The 400 respondents for this research were determined purposively. 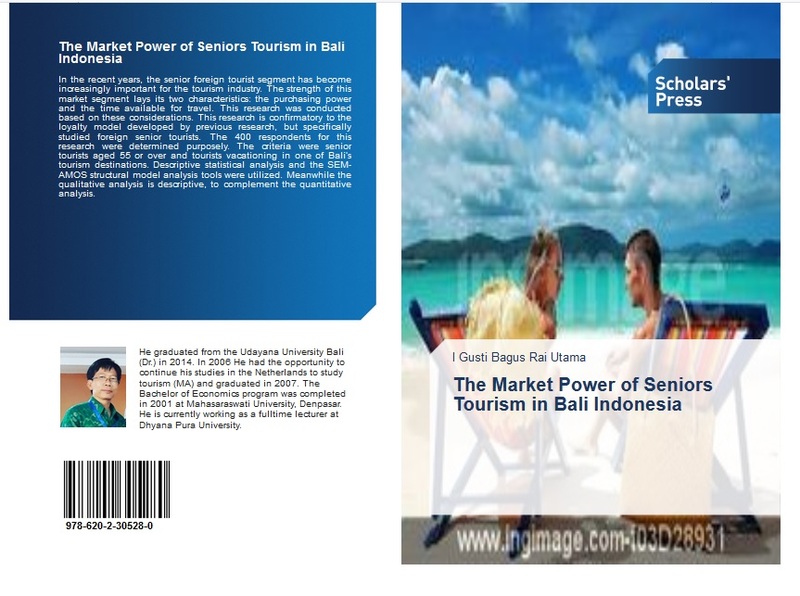 The criteria were senior tourists aged 55 or over and tourists vacationing in one of Bali’s tourism destinations. Descriptive statistical analysis and the SEM-AMOS structural model analysis tools were utilized. Meanwhile the qualitative analysis is descriptive, to complement the quantitative analysis. The demographic profiles of the respondents composed of 57 percent male travelers, and 43 percent female. Tourists in the age group of 55 to 65 are 73 percent, and 27 percent over 65 years. The findings of this research indicated that: (1) Push motivation does not have a significant effect on destination image. (2) Pull motivation has a significant effect on destination image and loyalty, but does not have a significant effect on tourist’s satisfaction. (3) Destination image has a significant effect on tourist’s satisfaction. (4) Tourist’s satisfaction has a significant effect on destination loyalty. Two loyalty models were formed: (1) Destination loyalty is directly influenced by tourist’s satisfaction, and indirectly influenced by destination image and pull motivation. (2) Destination loyalty is directly influenced by pull motivation, but the influence is not as significant as the influence of tourist’s satisfaction on loyalty. Theoretically, the research suggests maintaining the joint approach because this approach is able to answer various questions that quantitative approach alone cannot answer completely. 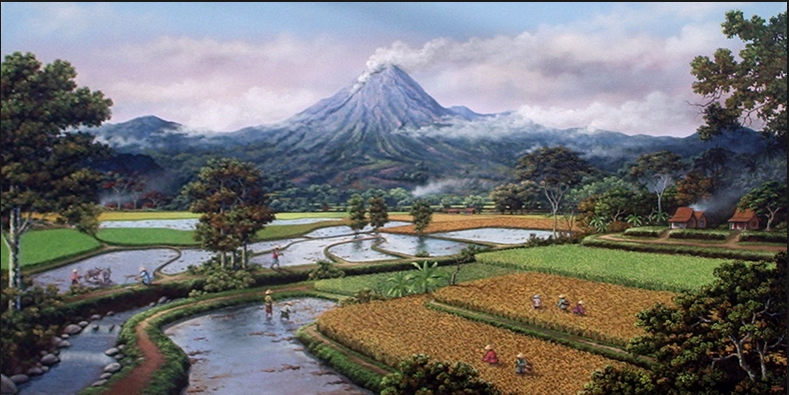 From a practical perspective, the preservation of Bali’s destination image was found to be adequate. The image of Bali include: (1) a destination that has cultural uniqueness, (2) welcoming local inhabitants, (3) comprehensive tourism infrastructure, and (4) comfortable tourism atmosphere. Keywords: senior foreign tourists, push motivation, pull motivation, destination image, tourist’s satisfaction, tourist’s loyalty.